If you’re looking for a boost on your journey to becoming a professional computer programmer, learning Python is an excellent step to take. A powerful language with a wide range of uses, Python can really give you the edge over programmers who still rely on Java and C. This short course will guide you through the crucial Python basics, from implementing statements to using Loop variables, so you can get started with your next language today. 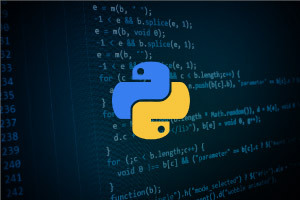 Introducing you to the core components of Python, one of the most used programming languages today, this free course will guide you through the most important aspects of the language. You will first be shown how to use the free open-source PyScripter IDE. This tool will unlock the language for you and enable you to write basic programs. These will include iterative and recursive programs, so that you can have tangible pieces of work in front of you to guide the rest of your learning journey. You will then learn about the most important Python programming tools. This will include crucial concepts such as variables and how to create a function. You will then be guided through If Else statements, For Loops, and While Loops, which are essential for using the remainder of the language. Finally, you will learn the key algorithms for the Python language, including Insertion Sort. By the end of the course, you will have the knowledge and skills necessary to start using Python and to continue your Python training with ease. With these tools, and a little motivation, you can unlock a learning journey towards becoming the certified master programmer you have the potential to be. Along the way, we’ll provide the tools and courses you need to learn programming skills of use to any modern company around the world. But first, the basics. So why wait? You’ve come this far, now keep going.